I had always been scared of creams as I had a fear that it would make my skin look greasy and would broke me out. But with the change in weather and skin type, I can’t believe I had to get creams for myself and I can say I loving them a lot. 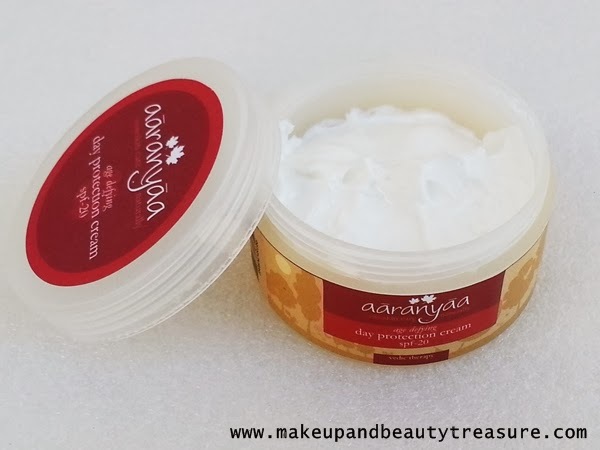 Today I am going to discuss my experience with Aaranyaa Age Defying Day Protection Cream. Aaranyaa Age Defying Day Protection Cream comes housed in a brown and yellow cardboard box packaging. The actual product comes in a small, sturdy, circular white plastic tub with a screw top lid. As soon as the lid is unscrewed, you will find a thick white plastic inner protective lid that keeps the cream in place safe and secured. The packaging is quite light and can be easily carried around in a bag. The cream is white in color with a mild but weird scent. The fragrance is noticeable when you apply the cream but vanishes away after few minutes. The day protection cream has soft and smooth texture with creamy consistency. I simply apply dots all over my face and neck and rub it in gently. It applies smoothly and spreads easily. After applying the cream, I find it looks really shiny and takes few minutes to get absorbed into the skin completely. My skin feels soft, smooth and thoroughly hydrated the whole day. I love using it prior foundation as it keeps my face matte and does not make it greasy (especially T zone!) at the end of the day unlike other creams. 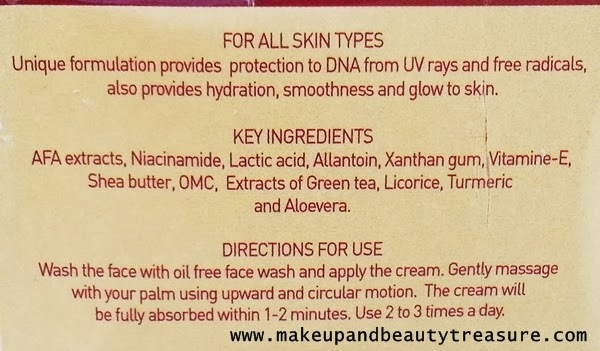 The cream contains SPF 20 so I do not feel the need to apply a separate sunscreen with it. I have not faced any adverse effects whilst using it. I cannot talk about the age defying effects as I am quite young to experience it. Aaranyaa Age Defying Day Protection Cream contains Niacinamide and Lactic acid that reduces the fine wrinkles and improves the elasticity of the skin. It contains all good ingredients and would suit all skin types. My mom loved this cream and she told me it makes the fine lines appear lighter and less visible. • My skin stays oil free the whole day. • Acts as a good makeup base. 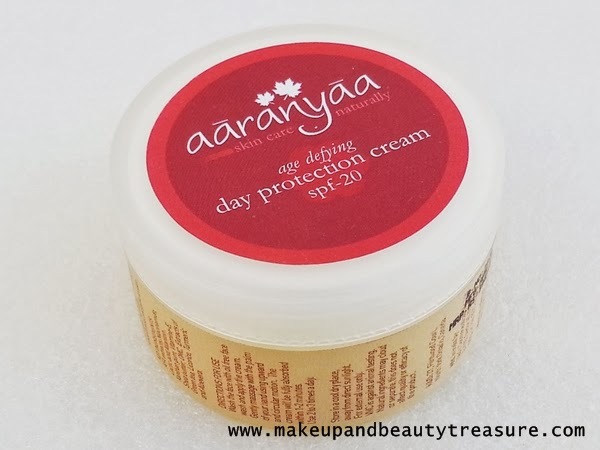 Aaranyaa Age Defying Day Protection Cream is a great moisturizer for everyday use and keeps skin soft, smooth and thoroughly moisturized the whole day. It does not make my T zone oily or greasy and my makeup stays perfect at the end of the day. If you have crossed your thirties then I would highly recommend it to use it as an anti ageing cream. All in all I loved using it a day cream to keep my skin soft and oil free! Have you tried Aaranyaa Age Defying Day Protection Cream? How was your experience? Share in the comments section below! Its a great brand Gowthami. Do try it out! Thanx Esha! 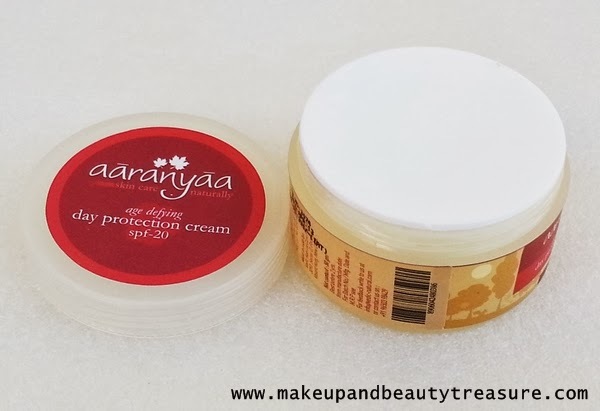 Its a newly launched product from Aaranyaa! Oil free skin all day is not bad! Would give it a go! Its a great brand Rashmi! 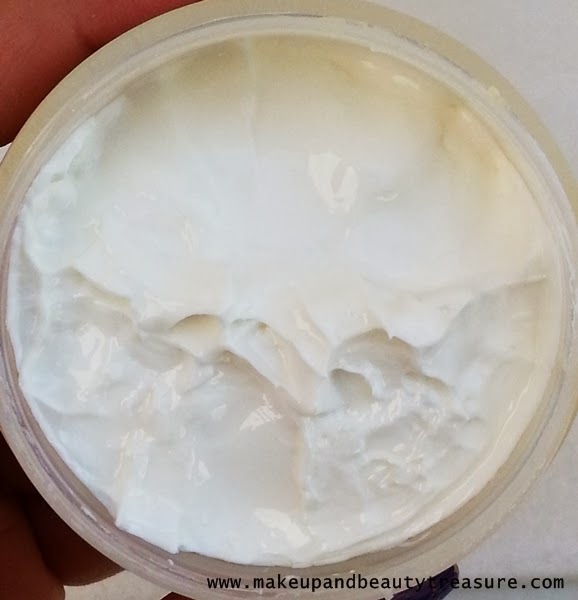 This looks a great day cream but I have never spotted these products anywhere :/ would love to try some products from this brand, lovely review and pics as always sweety. They are available online Arzoo :) Thanx so much ! 4.8? Must try this one! But i would recommend u to use anti ageing products related to eye for around the eye area! Do give it a try Shreya! I am scared of face creams too :) But this one seems nice! This wont break out Rosh!